While some were predicting the eventual death of blockchain technology, it definitely doesn’t seem to be going anywhere anytime soon, looking at current trends. SAP is fully committed to maintaining the newly announced cloud-based blockchain service and other companies have made various moves to strengthen their focus on blockchain tech. It’s hard to predict where things will end up just a few years from now, and the market is already in a very dynamic state. But, the important thing is that we’re seeing progress in the right direction and people are becoming more and more aware of the benefits that blockchain technology holds for them - and its potential uses in our daily lives. What’s Next for SAP After Joining Hyperledger? SAP has been making active progress in the blockchain field, with the launch of the Leonardo line signifying the increased attention to the area. After the company joined Hyper-ledger last year, new developments will be aimed at increasing market penetration for blockchain technology even further, while also making solutions more easily accessible to every user. Moving towards a cloud-based solution has received lots of positive comments from multiple sides already. On that note, AI is another hot topic in the tech world recently, and a lot is being said lately about the merits of machine learning and its applications in the modern world. It was inevitable that we would see a major project related to blockchain utilizing AI on a more fundamental level, and the Magnus Collective has delivered exactly that. 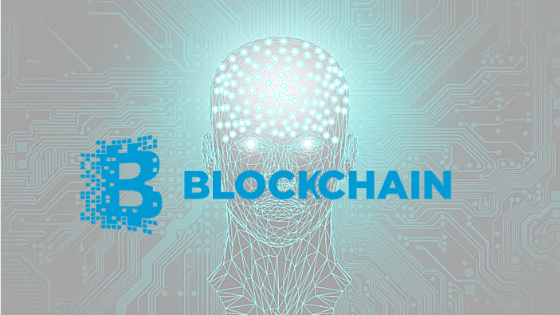 The underlying network is based entirely on AI and involves various robots, standalone agents, and other pieces of intelligent software that can drive the platform forward in a stable, controlled manner, especially compared to traditional blockchain networks. It will be interesting to see where it goes a few months from now. Another topic that’s enjoying more and more attention in the sphere of blockchain tech lately is adoption by major governments. We’ve seen some interesting proposals in this area, but not much in the way of serious action – until now. Chile has decided to use blockchain as a basis for their national energy grid, and experts are already predicting major developments from this announcement. It’s possible that other countries will decide to follow suit as well, and we might soon see blockchain integrated tightly into the operation of various governments around the world. Russia and China are also surrounded by speculation regarding their plans for blockchain technology, but we haven’t seen anything concrete coming out of those countries yet. Knowing their generally secretive nature, it will probably take a while before they’re ready to present any possible projects to the world, but we’re sure that these announcements will have an even stronger potential impact.